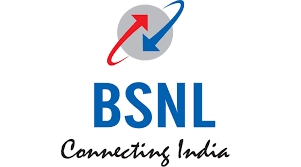 Bharat Sanchar Nigam Ltd (BSNL) is said to beat the competition by introducing more mobile packs and unlimited prepaid plans to its customers. priced at Rs. 99 and Rs. 319 offer unlimited voice calling benefits to prepaid customers. Rs. 319 plan offers 90 days of validity, unlimited voice calls nationwide and roaming, except for Mumbai and Delhi circles, TelecomTalk reports. The Rs. 99 plan offers the same voice calling benefits, but comes with a validity of 26 days only. This plan also offers a free caller tune service (PRBT) as well. BSNL had also launched a Rs. 118 prepaid pack that offers a total of 1GB 3G/ 4G data, and unlimited voice calls (including roaming except for Delhi and Mumbai circles) with a validity of 28 days. How about data combined with voice calls unlimited. Is it only voice, them no use.